Orange Flood is dedicated to serving commercial properties in the DC Metro region by handling flood, fire & water damage restoration projects of all sizes. Orange Flood works with clients who are in need of structural repair as a result of water damage, a flood or mold in the residence. The staff is I.I.C.R.C certified to assist clients in need of mold remediation, working to not only contain the mold, but also to mitigate the damage. All staff members are trained in the use of the latest techniques and equipment to ensure the customer’s property is returned to the pre-loss condition. Contact the company at any time, day or night, for assistance with any of these issues. Staff come in to immediately begin the restoration process and will work with the client’s insurance company to ensure the structure is secured, the damage is removed and the home is reconstructed, refinished and restored in a timely manner. Serving Virginia, Maryland & the DC area with fastest response times. I case of emergency, don’t panic. We ‘re here 24/7. We accept all major insurance companies so you don’t pay. 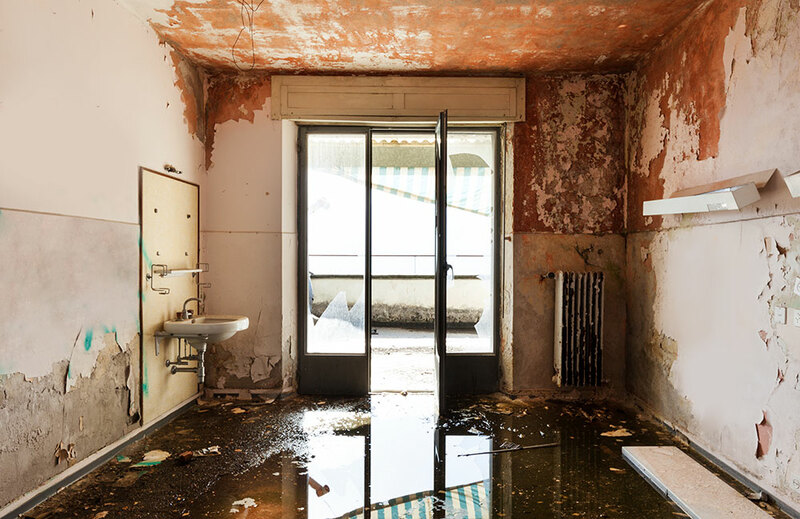 Water damage causes property losses to the tune of billions of dollars every year. The American Insurance Association found homeowners received $9.1 billion dollars to repair damage caused by water leaks in the home between the period of 2007 to 2009, accounting for roughly 23 percent of property losses for this time period. This only takes into account water leaks and damage. There is a significant amount of damage from the Mold that comest after water damage. Fire damage is another accident that can happen at anytime. Orange Flood is dedicated to being there when any of these disasters happen to you. Water damage may occur as the result of a leaking or frozen pipe or water line. Overflow of a dishwasher or washing machine is also a common cause of this type of damage, and the same is true of a sink, toilet or bathtub that overflows. 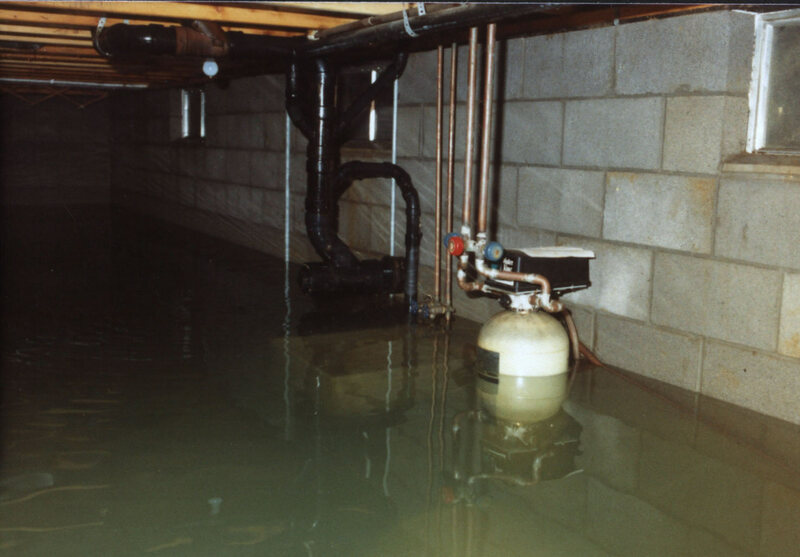 Basements may flood as a result of heavy rains or a roof may leak. Regardless of where the water is coming from, homeowners need to ensure the areas affected by the water are quickly dried. Doing so requires the use of specialized equipment and methods to ensure the job is handled properly and efficiently. You can call Orange Flood to do the job right, and bill your insurance company preventing loss from damage or loss of money. Individuals often assume floods only occur following a tornado or hurricane, yet an isolated storm or weak tropical system can do a great deal of damage in a short period of time. Before an assessment can be done of the property, any debris must be removed along with large structural items that may cause additional damage. The roof may need to be covered or the structure dried during this process, before complete reconstruction can begin. In addition, the structure might have to be stabilized or trees removed and the property boarded up. A professional storm damage restoration provide can help in this situation to minimize any damage caused by the flood. Once these steps have been taken, only then can the water damage restoration process begin. Tiny mold spores, when they land on a wet surface, begin growing and they need this wet surface to do so. When a company promises to remove all mold from a residence, they are promising something that isn’t possible, as the spores are found everywhere, both indoors and out. A mold spore enters the home through a door or window, on clothing, by hitching a ride on a pet or through the heating and cooling system. Before the mold remediation process begins, the water source must be identified and corrected. If this step is not taken, the mold can easily return in a short period of time. Homeowners often don’t know they have a problem with mold though, as it grows in dark places, such as under carpets or behind walls. It isn’t until the mold begins to develop the characteristic musty, strong odor it is known for that the residents of the home realize there is an issue. Mold remediation involves an inspection of the home and an assessment of the damage. Once these steps have been completed, the mold must be contained and the air filtered to remove microscopic spores from the air. This is done by making use of HEPA vacuums and air scrubbers to ensure the mold doesn’t spread to other areas of the home. The mold is then removed and any materials infested with mold are removed and disposed of, especially those made of porous materials such as drywall, as they may harbor hidden mold that cannot be removed. Contents of the home and belongings of the residents are cleaned and sanitized to prevent future mold growth, and restoration services may then begin. We had our toilet overflow in the middle of the night, and our entire basement was flooded. The water restoration process was quick. They were able to remediate previous mold damage that we had in our basement. They worked with our insurance company every step of the way, and made sure that we didn’t have to pay anything out of pocket. I will definitely use Orange Flood again! Thanks guys for all of your help. If found an article about Orange Flood on the Digital Journal which was a blessing and made me call Orange Flood right away. They showed up on site and immediately started to extract water by setting up dehumidifiers and air movers. Everything was covered by my USAA home owners insurance and Orange Flood conducted and maintained all the communication with the insurance company. Thank you! I was experiencing pipe damage in our kitchen and these guys fix it for me, they also told me some tips to prevent future damage, Thank you, very helpful and professional service. They showed up on time and treated this project very professionally. I would use and recommend them again in case of another flood situation.